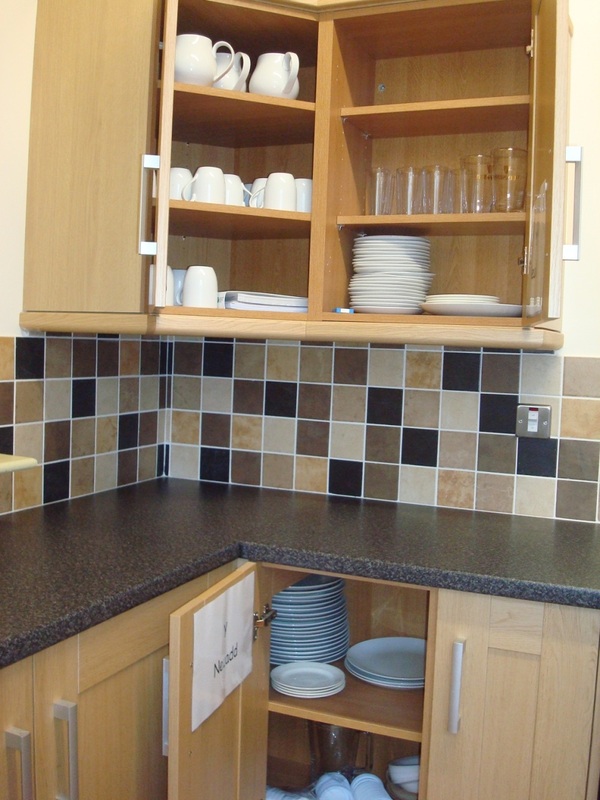 The kitchen cupboards are well stocked with crockery. 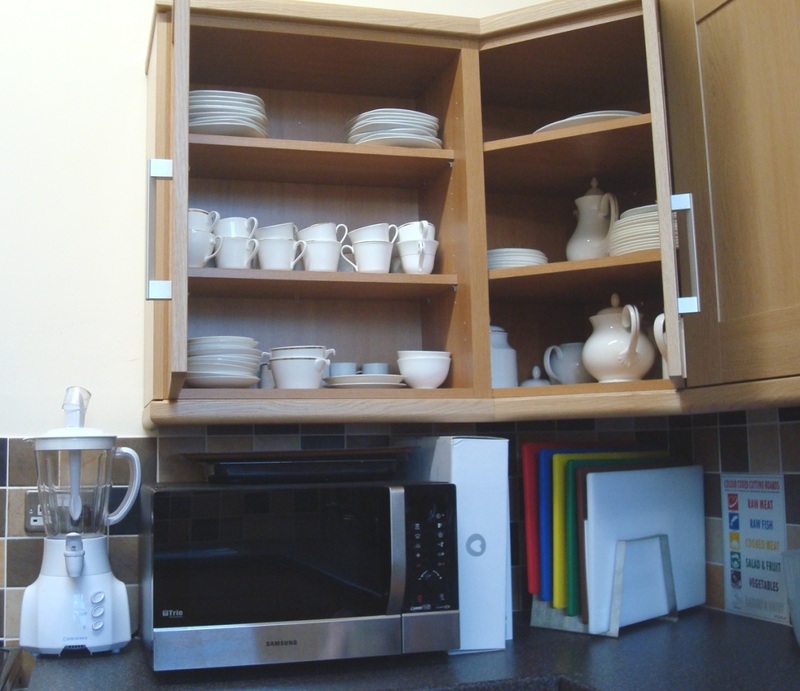 Hirers are allowed to use the contents of any cupboard not marked with the name of a club, but the contents of cupboards marked Y Neuadd may be used. 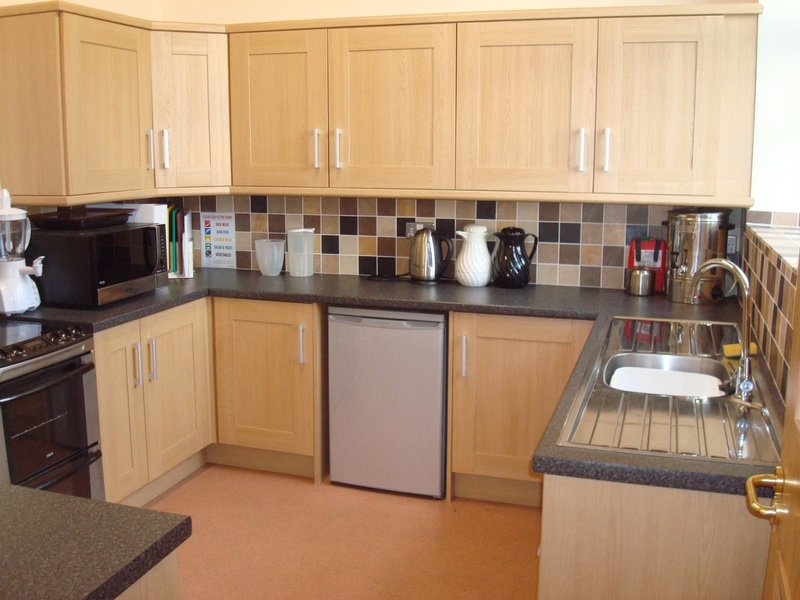 Hirers are allowed to use all of the appliances (cooker, microwave, etc.) and are kindly asked to switch off kettles, cooker and water urn at the end of their hire period. Hirers must provide their own tea towels, dishcloths and bin bags and should remove any rubbish (the Neuadd does not have bins or a rubbish collection).